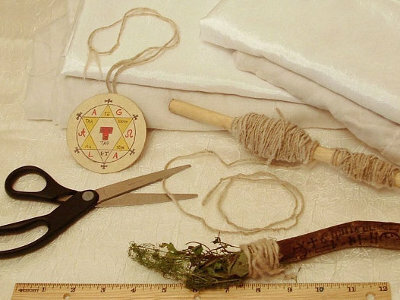 Many traditions of magick and conjure – especially Solomonic mysticism – require thread “spun by a young maiden/virgin.” Such thread is used to bind herbs, sew robes, hang talismans, etc. 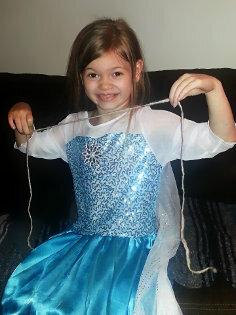 In the times before fabric stores, thread was spun by hand at home by the women of the house – quite often the younger girls. 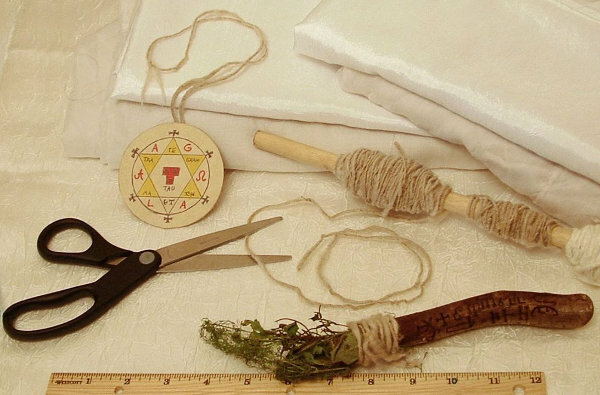 As they spun raw materials (wool, cotton, flax, etc) into useable thread, often singing hymns and psalms while doing so, it was believed they “spun” a certain amount of their faith and innocence into the thread. 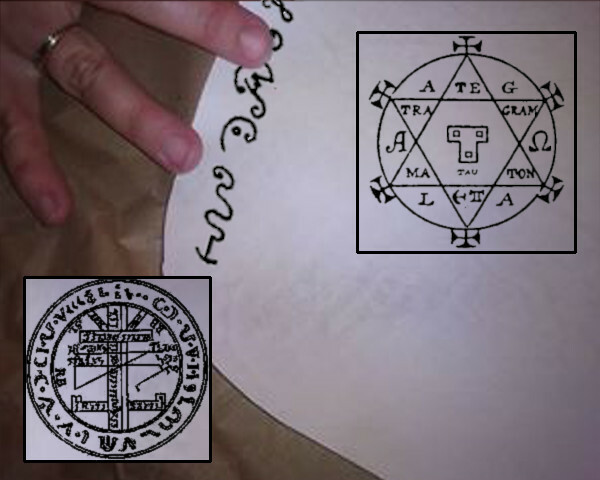 This magickal purity is required for any thread used in the Solomonic tradition. Our Maiden Spun Thread is hand-spun from raw wool by our resident spinstress A.J. (just sixs year old in this picture!) – who sings her favorite songs as she works, spinning positive energy into the thread. Supply will be limited by AJ’s ability to keep up with demand. Also, 20% of every sale will be placed in a savings account for her future. Thread is sold by the yard. To order three yards specify a quantity of “3”, etc. Buying thread for your Aspergillum? Buy the herbs here, and you get a 20% discount on 1 yd of thread! Just use coupon code ‘sprinklerthread’ at checkout.